Time to get my garden products made and ready for this years growing season. Here are a few natural ways to keep your garden free from mites, insects, and fungus. First you need to make a concentrate using 2 garlic bulbs and 1.5 cups of water. Place garlic & water in the blender - puree. Place puree in a glass container - I use a washed out mayo jar. Let the mixture sit in the container for 2 days. Strain - then mix the liquid with one gallon of water. I use a recycled milk jug to store the liquid. Fill a recycled spray bottle with liquid - make sure to label the spray bottle. Label the jug and place in a cool dark location. Once a week spray the plant leaves both top and bottom. I always spray after I water or after a rain. Add 4 Tablespoons of Baking Soda & 1 1/2 teaspoon to a cleaned recycled milk jug. Fill jug with water - shake. Let water mixture set then pour into a recycled spray bottle. Make sure to label jug and spray bottle. In a blender add 8 cloves of garlic,medium onion, and four hot peppers. Blend till smooth. Add ingredients to a recycled milk jug - add 1 tablespoon of dish soap and fill with warm water. Let mixture sit for about 3 days - strain. Replace liquid to the jug. Fill recycled spray bottle with liquid. Spray plants weekly - after watering or rain. Make sure to label jug and spray bottle. Do you plan to have a garden this year? Thanks for these tips! I love using safe and natural gardening treatments instead of harmful chemicals. I prefer natural options over chemicals any day, too! Thank you so much for sharing this! I live in the south, which is the garden capital of the country. If more people used remedies like this instead of chemicals, it would be much better for our environment. This is great- I definitely want to use things like this instead of harsh chemicals! I feel the same way! We need to protect our honey bees and crops! Another good one to keep bugs away is to use lavender essential oil. Bugs hate it! I am always looking for natural ways to defend my garden. This is a great and helpful post. 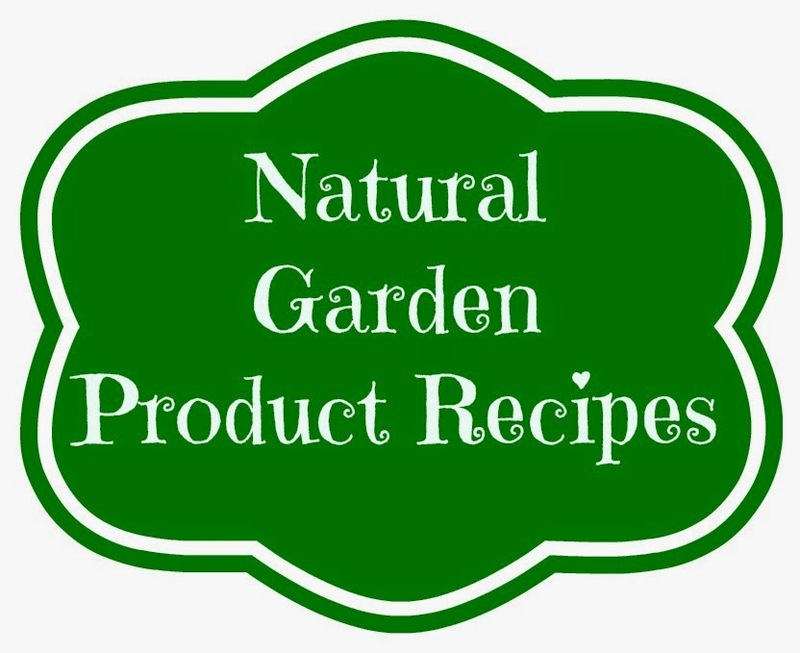 I wish everyone used all natural gardening products like these! I am going to have to try that fungus spray out! I have plants outside and there are some fab recommendations here. TY! Husband is in charge of all things yard work. I am however waiting to plant some orange trees. I need that insect spray! Our garden always gets overrun with bugs. Wonderful ideas. Perfect for the garden and home. Ooh! I'll have to save this, it'll come in handy! Hopefully that insect spray deters the fire ants. I would love a garden this year however we are planning to move so I don't think it will be happening this year! Baking soda is awesome isn't it? I use it all the time in our home. A Do-It-Yourself insect spray? That is such a great idea! I will be passing this one along! It's simply amazes me how many simple home recipes there are to help out around the house! Thanks for sharing! Home recipes that help out the garden are great...and inexpensive! Thank you so much for sharing! I'm going to grow some veggies this year. These will come in handy. Thank you, thank you for this information. We just moved to a large home with a great yard. We now have plenty of room for gardening and I am looking forward to beautiful flowers and edible garden. I will be using your recipes with gratitude. My dogs are allergic to a lot of chemicals in the store bought sprays. I am all for making natural ones at home! Ok, I'm taking notes on these! I had no idea these natural sprays could be made! These are great. I would way rather use natural products than all those toxic chemicals. Thank you for the recipe! I love natural, i hate eating garden food w/ all those pesticides on them. My inlaws have a gorgeous backyard garden in their Southern California home. I will be sure to share these natural recipes with them during our visit next week. The insect spray is one I needed for sure. I've never thought about adding garlic! These are great recipes. I will definitely have to try these! I love the idea of it being natural. I want to make the insect spray for our yard this year. I love natural products like this for taking care of bugs. We don't have a garden but I have a few friends who would appreciate this info. What a great collection of recipes! We scaled back our garden this year but hopefully we'll be moving by next summer and I can ramp up again. I totally need to make that inspect spray. that is, if it ever warms up here! Great info to have for all my gardening friends. I have black thumb so gardening is not for me! I don't plan on having a garden this year. My husband kills want the bunnies don't eat. I planted my first vegetable garden last year. I planted way to many tomatoes lol. This year i want to plant some squash as well. Perfect! I was just getting my gardening plans together. I'm always looking for new recipes to try on those nasty bugs and fungus! Those pesky spider mites made me nuts last summer. I'll be trying this concoction! I garden every year. This year I don't think I will be doing our normal garden. Just a few containers. We are planning to start looking for houses closer to hubs work and put ours up for sale. These are definitely good to know. I can't do an actual garden, my thumb is too black, but usually have a couple containers going. Oh i am saving this! I cannot wait to garden!! Yes, I do plan to garden, but will be doing a smaller raised bed this year. I just don't have the time to devote to a large one like I have in previous years. Thank you so much for these green tips! I love diy holistic made products. I definitely want to try these! The spider spray will be very helpful for me. I just made an ant repellent with essential oils! I'm interested in the Spider Spray. These are some good recipes. Thanks for sharing.